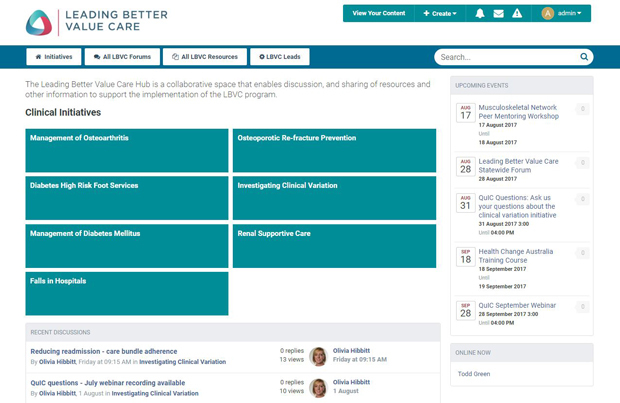 The Leading Better Value Care Hub is a collaborative space that enables discussion, and sharing of resources and other information to support the implementation of the LBVC program. Access to the site is restricted to NSW Health staff. If you would like to participate in the Hub, please complete the registration form.